Moving to a new home is exciting, but at the same time, it’s a very hard and stressful process. There are many steps that you can take and last minute moving tips that can help you make this transition as smoothly as possible. The most important thing is not to wait until the last minute. There are many things to be done, and you should start to handle it as soon as possible. Especially if you are moving with children. Start to plan your move just after your decision of relocation is final. Time is of the essence. On the other hand, if the time is a luxury you don’t have and you must move suddenly, there is still a way to do it without to much fuss. It will just require more organization and planning. If your budget allows it, you should always consider hiring a moving company to do a heavy lifting for you. It will make your relocation so much easier and you will save a lot of time and nerves. If you are moving locally you may be able to do it yourself. You just have to prepare yourself that it will be time-consuming, nerve-wracking and stressful. With good organization and detailed planning, it is doable. When you are relocating to another state, it’s a different story. If you are, for example, moving to the Sunshine State from New York, then you will require the services of the moving company. It will even be cheaper than moving on your own. If you are moving on the short notice, then hiring professional movers is one of the most recommended last minute moving tips. In order to find a moving company that you can trust, you should pay attention that company is licensed, insured and that it has a spotless reputation. Making a list is a crucial step when you are moving. When you write down everything that you have to do, there is a smaller chance that you will forget something. Walk through your home and make an inventory of all the belongings that you want to move. Make a list of things that you need to pack, another list of the things that you will donate, and the third list of things that will go into the trash. You can never have too many lists when your moving. Your to-do moving list should contain. Budget plan – the amount of the money that you can spend on the moving process, and estimated costs of the moving. Inventory plan – lists of your belongings that you pack, donate or throwing away. Moving dates – date when the movers are coming, date for finishing your packing, deadline to evict your home, the date of the moving day. 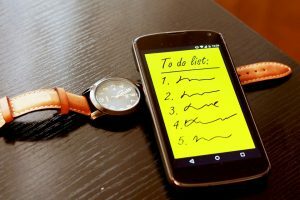 Other items – write down all of the things that you may forget: packing supplies that you need, cleaning your house, settling your bills, terminating services, notifying a bank if necessary, the personal belongings that you need to bring with yourself etc. Everything that you can think of, write it down. If you don’t there is a big chance that you may forget it. That way a small thing can become a big problem. You can always forget something, and creating a to-do list will decrease the chance of that. This is one of the last minute moving tips that you can hardly overlook. If you are packing yourself, gathering all of your packing supplies on one spot will save you the amount of time. Easy access to these items will make packing easier and more efficient. You need to make sure that you have all the necessary supplies: packing boxes, plastic wraps, moving blankets, box cutters, scissors, packing tape, markers, labels. 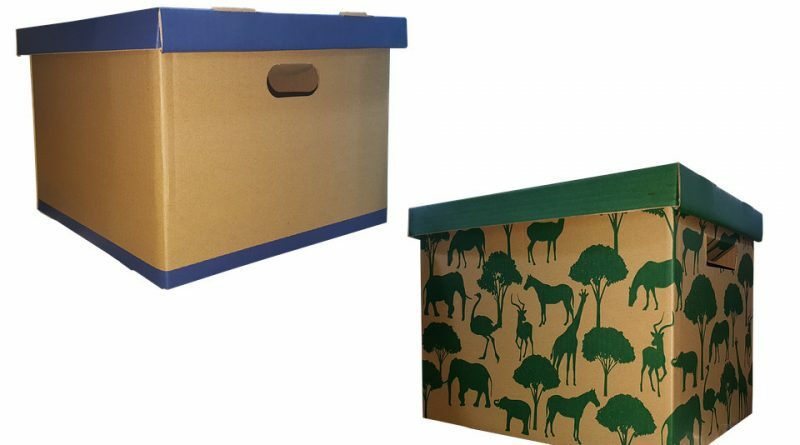 You can get moving boxes for free, and the others you can purchase in the hardware store or even in your local convenience store. Make sure that you have all necessary packing supplies before you start to pack your things. Packing can be very overwhelming. That is why is the best if you do it room by room. Focusing on packing one room at the time will make packing, but also unpacking much easier. Label every item from the room that you are packing. For example blankets – living room, picture frames – living room. It is a much better option that packing the same items from the different rooms in one box. You may be tempted to do that. To put all the vases from around the entire house in the same box, for example. That can create confusion when you are unpacking, and you will scatter all around the house. Packing one room at the time will save you time an energy. Another great tip is to first pack the big items and then progress to the small one. If the word “packing” is horrifying for you, don’t worry – your not the only one. It’s the most stressful task of the moving process. Luckily, if you have the resources, you can delegate it. Moving companies usually offer additional services like packing and unpacking. If you decide to purchase them, you will be taking off the biggest burden on your shoulders. 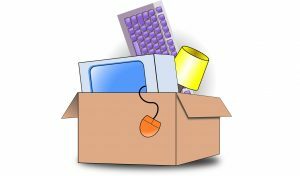 Check out the website orangemover.com and find everything that will make your relocation stress free in one place. Packing clothes with hangers may not seem like a good idea. Clothes on hangers will take more space than the close that is folded without them. However, if the time is of the essence, this will be the quickest way to pack your clothes. 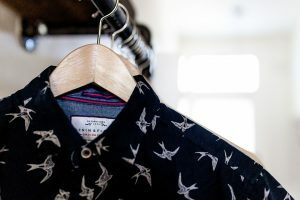 Packing clothes without the hangers means that you have to take them out the closet, remove the hanger, fold clothes and pack it into the boxes or bags. When you pack clothes on hangers, you will have just two steps – out of the closet and into the box. Unpacking will be easier too – you will just take out your clothes on hangers and hang them in your closet. This is one of the ultimate last minute moving tips for packing in the short notice. Putting your clothes from the closet directly to the packing boxes will save you so much time. ← What are the best East Coast cities for families?